In a book of intellectual breadth, James Wertsch not only offers a synthesis and critique of all Vygotsky’s major ideas, but also presents a program for using Vygotskian theory as a guide to contemporary research in the social sciences and humanities. He draws extensively on all Vygotsky’s works, both in Russian and in English, as well as on his own studies in the Soviet Union with colleagues and students of Vygotsky. Vygotsky’s writings are an enormously rich source of ideas for those who seek an account of the mind as it relates to the social and physical world. 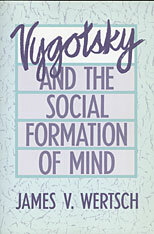 Wertsch explores three central themes that run through Vygotsky’s work: his insistence on using genetic, or developmental, analysis; his claim that higher mental functioning in the individual has social origins; and his beliefs about the role of tools and signs in human social and psychological activity Wertsch demonstrates how the notion of semiotic mediation is essential to understanding Vygotsky’s unique contribution to the study of human consciousness. In the last four chapters Wertsch extends Vygotsky’s claims in light of recent research in linguistics, semiotics, and literary theory. 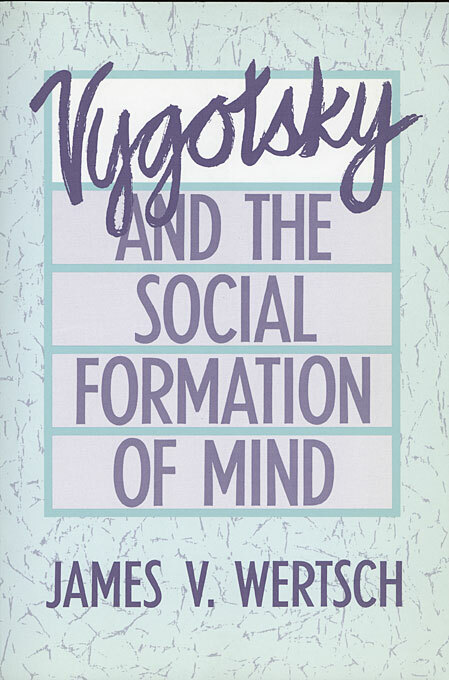 The focus on semiotic phenomena, especially human language, enables him to integrate findings from the wide variety of disciplines with which Vygotsky was concerned Wertsch shows how Vygotsky’s approach provides a principled way to link the various strands of human science that seem more isolated than ever today.